As everyone knows, here at Hookit, we are all about the athletes. It is Tuesday after the 2012 Monster Energy Cup weekend and I think we should talk about what happened in Vegas (just this once). We could talk about Villopoto’s “Million Dollar crash” or Ryan Dungey’s “hand shifting,” but we think we can all agree that the most impressive rides of the night came from some of the riders on Hookit. This last weekend, Hookit athletes showed up to Vegas with their game faces on. First of all, Justin Barcia… That guy has the speed and consistency on a 450, eh? 2-1-2 in his motos earned him a pretty decent paycheck of $100,000. Secondly, Adam Cianciarulo’s debut race on his KX250F … pretty awesome. Not only did he grab the #2 spot on the podium, it was his 16th birthday! Happy birthday Adam! The most impressive ride of the weekend…drum roll please… Austin Forkner! Austin took home the Super Mini Class after sweeping both motos! He was the only rider to win every moto in their division. This is one of the coolest kids in motocross. At 14 years old, Austin has 2 World Titles, 7 National Titles, over 13 Missouri State Titles, and 3 Jerry Sharp Award’s. Now, he adds this impressive trophy to his shelf. Austin has impressed us so much we decided to make him as our newest featured athlete! We actually chose Austin a few weeks ago and we have been working on a new athlete profile video with him. “Our goal with these segments is to provide a more authentic way for athletes to share their stories about where they’ve been and where they’re going. Every athlete needs extra support at some point in their career and that’s what we’re here for.” say’s Scott Tilton, CEO of Hookit. 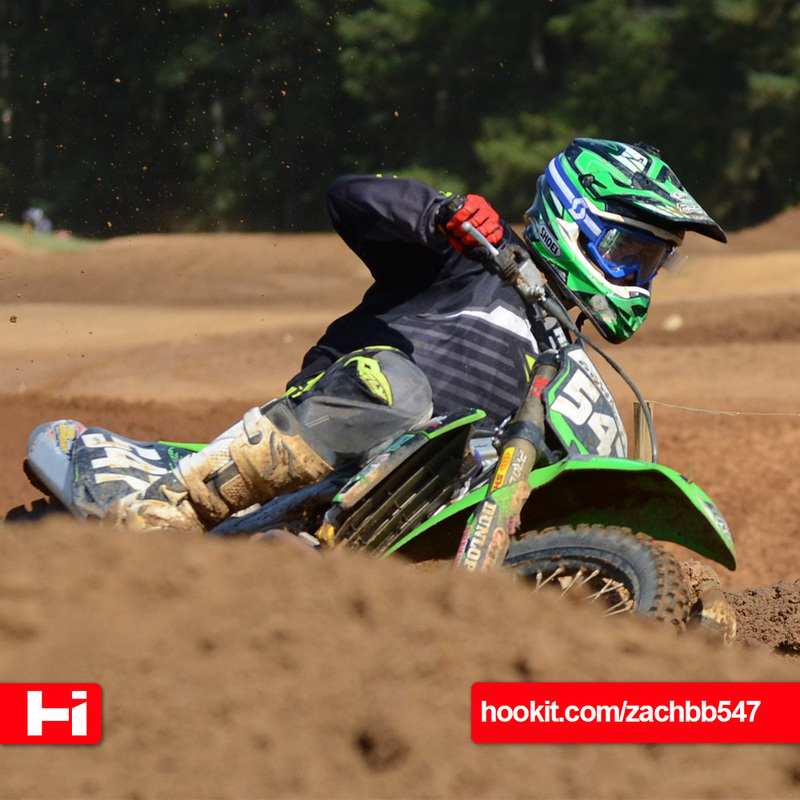 Watch Austin’s Athlete Video which highlights his win from the Kawasaki Race of Champions at Englishtown, NJ in early October. Head over to his Hookit Profile to give him some props. I’d say he has earned it! You can also check out Barcia’s Profile or AC’s profile to follow their seasons.